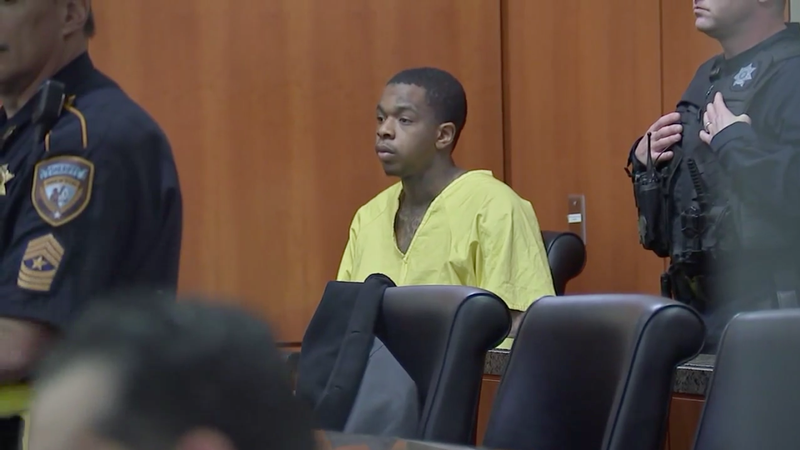 The details of seven-year-old Jazmine Barnes’ death remain murky as suspected shooter Larry Woodruffe, 24, denies involvement in the crime, claiming Eric Black Jr. was the shooter in the fatal attack. Black, 20, previously confessed to driving the car from which Woodruffe allegedly shot and killed Jazmine during the Dec. 30 assault. The young girl had been in the backseat of a car driven by her mother, LaPorsha Washington, and shot in the head and killed. Washington was shot in the arm, and her other daughter, six, was injured by broken glass. Black and Woodruffe have each been charged with capital murder. Neither has entered a plea. According to court documents, Black told authorities the gun used was at his home and gave them permission to search the property. A 9 mm pistol consistent with shell casings from the shooting scene was found there. It’s unclear if Andrews is implying Black may have gotten some sort of deal for implicating Woodruffe, but it could explain Black’s willingness to admit involvement to police. Prosecutors have the option of pursuing capital punishment with a conviction. Woodruffe and Black, who were allegedly in an SUV during the crime, do not match the initial witness description of a 30- or 40-something white man in a pickup truck. It’s still uncertain how the jump from a white suspect to two black suspects was made, but there’s speculation the white man initially described as the shooter was a bystander fleeing the scene.